Digital signage is an invaluable information resource: displaying instant messages to influence customer behaviour, enhance visitor experience, or deliver important information, and not just on a singular basis. With network connected and managed digital signage systems; you can display the right content at the right time to any location. 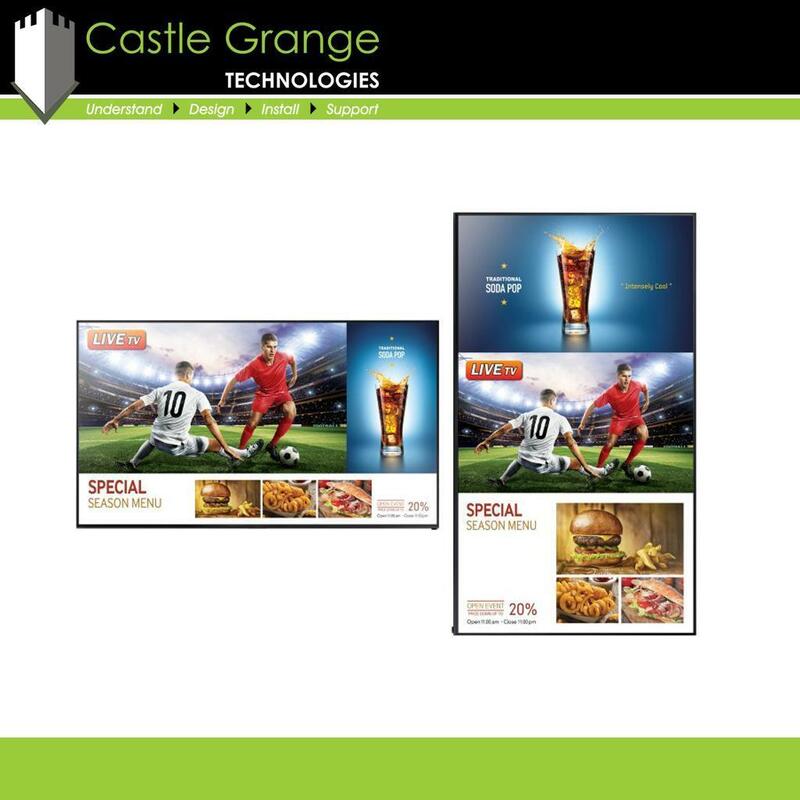 Our digital signage systems comprise of content management software with an easy to populate template, allowing you to build attractive campaigns that grab your audience’s attention and get across key messages. There are many brands and models of digital signage systems with varying features, making it difficult for you to choose the solution that is right for you. This is where our free consultancy service comes into its own, we get to understand your requirements before recommending the most suitable solution. 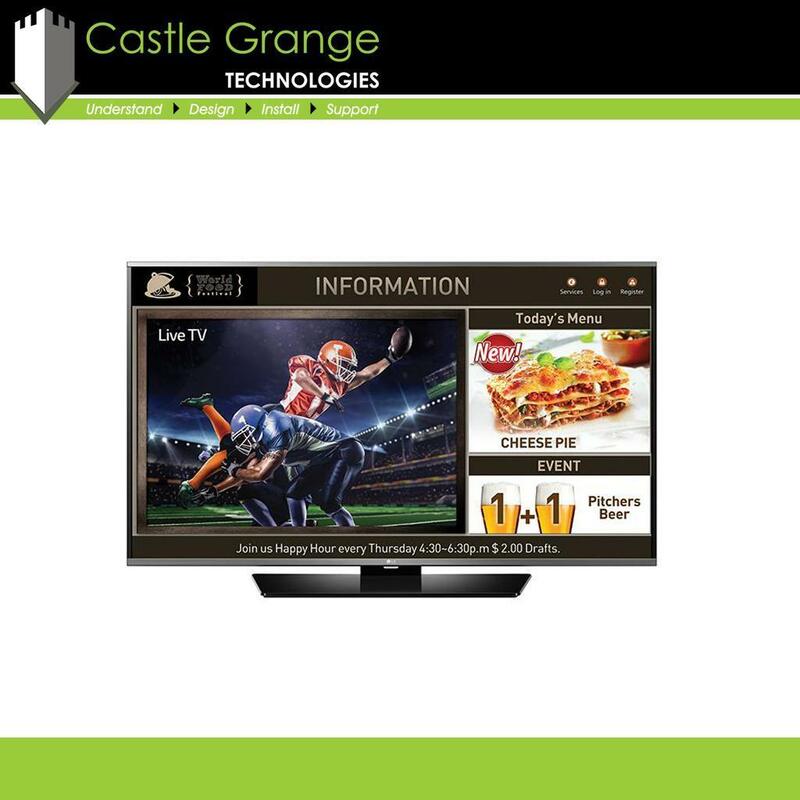 Whether you need technical advice on which digital signage system is suitable for you, or you simply require a quick quotation for the supply of a specific model, Castle Grange can help. We offer a professional installation service from our team of friendly engineers, meaning you can rely on us to be your one stop shop for your digital signage requirements. 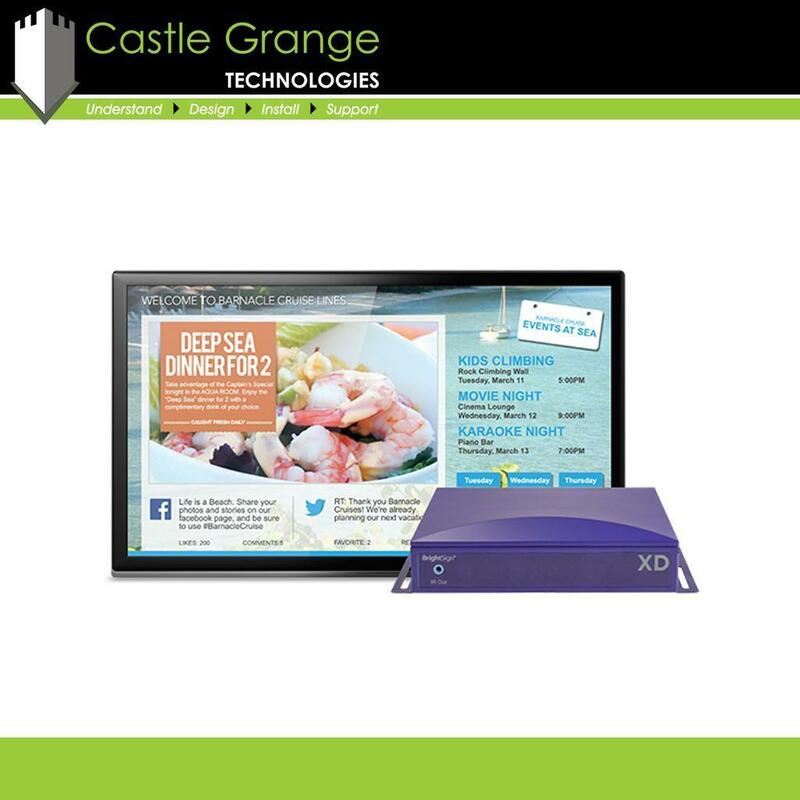 Should you require training on your digital signage system then we offer content management system training to your members of staff. Our training course will be specific to the system you buy, but it generally covers areas such as: selecting and populating templates, media management, scheduling, content distribution, and permission-based user roles. If you are looking to outsource content management then we work closely with a creative agency who can look after your content for you and design and schedule the messages you wish to display. 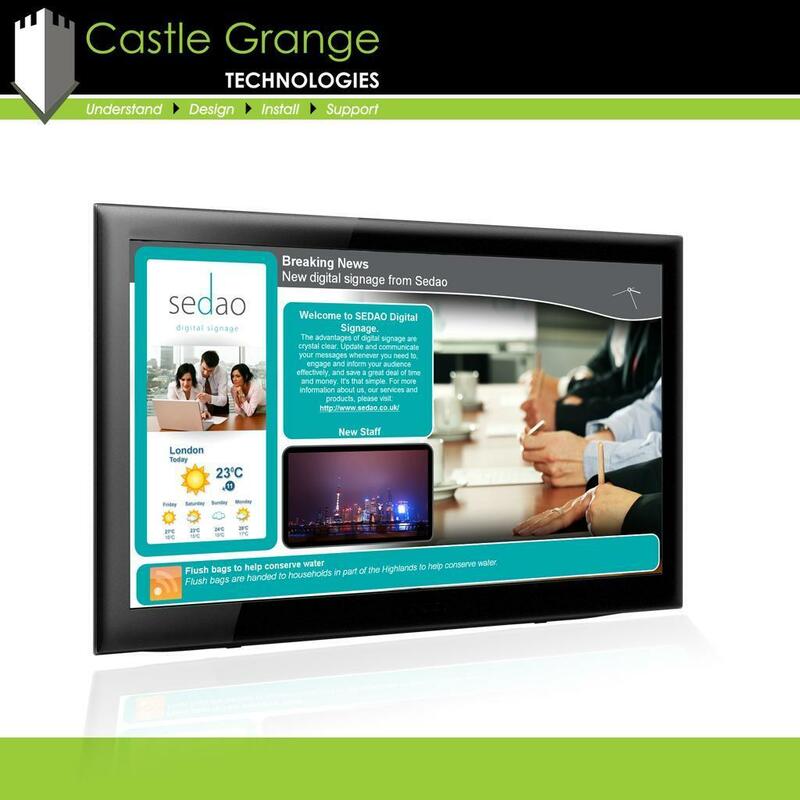 The digital signage systems we supply are covered by a manufacturer’s warranty, however, if a customer has a problem with their screen then we want to help and want to be the first point of contact. 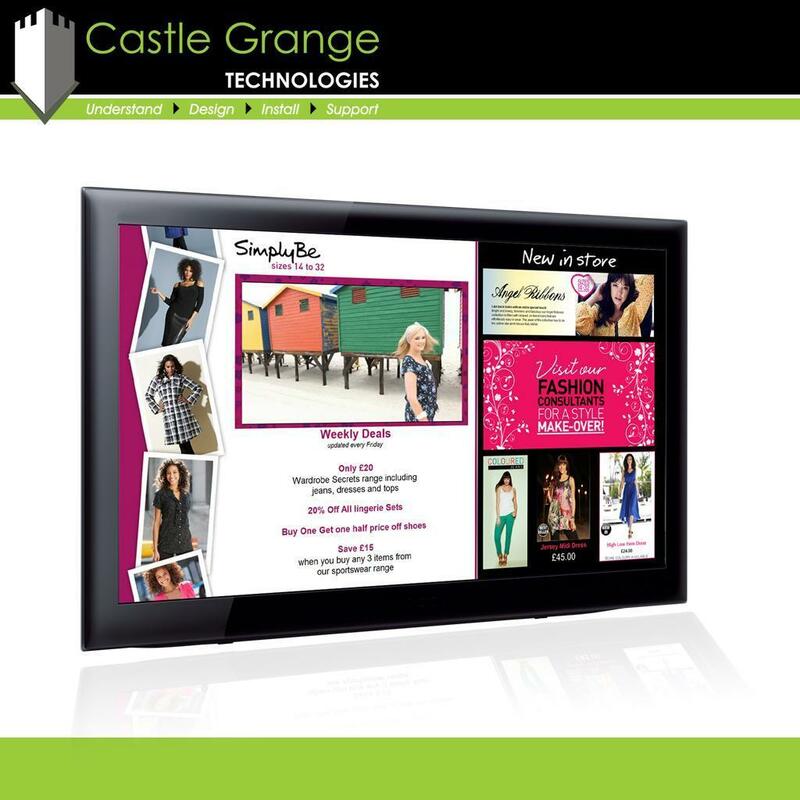 You can view our photographs and videos relating to Indoor Digital Signage by using the tabs below.